Our next closer: Brian Duensing. Now that Nathan is gone, what are the chances Perkins will be the closer? Where will Nathan appear in your top Twins list? Right move for all people. Nathan was amazing, but this works out well for both parties. We couldn’t afford him (might not need him), and he deserves a shot at a ring. It’s too bad the M&M’s 38 mil this year has left us so little to work with. I’d go with that, Tracy–if, and only if, every opposing batter would agree to bat left-handed. 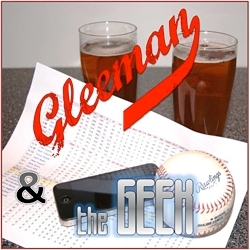 Don’t be surprised if our next closer is…Glen Perkins. That, or closer by committee. Rangers are not a dumb team but what did they see in Nathan last year to warrant the years and money they gave him? The chance he’ll be an effective closer with low 90’s stuff? I suppose Feliz proved a fastball in the upper 90’s doesn’t always equal post season success. In addition, it’s been suggested due to their new tv contract the Rangers will act, ie spend, like the Yankee’s of the West. Just feels like a high risk deal the Yankee’s or Red Sox usually do while not showing concern for the downside risk. This is one of those things where memories fail. I remember that when the Twins first acquired Aguilera in 1989, they put him in the rotation and my recall is that it was a disaster. But I just looked up the stats and his numbers in those starts (11 of them) wasn’t bad, leading with an ERA of 3.75. Not great, but certainly not the disaster I remember it being. Nevertheless, moving him to the closer’s role the next season was one of the most brilliant moves in Twins history. I’m gonna miss ol’ Twitchy on the mound. Terrific pitcher, had a great run with the Twins, but this was probably the best move for everyone. Nathan wants to play for a contender, the Twins aren’t in a position where paying $14M over 2 to a 37 year old closer with a major arm injury in his history makes a lot of sense. What worries me is the idea that Capps might come back at an inflated “closer” price tag and get handed the job again because Gardy wants an experienced guy back there. I understand the thinking (and applaud it actually) in not moving perkins into the role (would much rather have him pitch more innings and in more high leverage situations), but ITA with Gleeman here: closers are made and can be found. We can take the money Nathan might have gotten and get 2-3 quality relievers who could all be potential closers. Nothing about this statement is true. Let’s stop perpetuating this false meme, at least those of us with half a brain. For every person that complains about the Twins overpaying Mauer, there are five more who would have complained about a cheapskate franchise that duped taxpayers into funding a new stadium had he been allowed to walk. The lesson: people will always complain. ML – this comment is neither helpful nor constructive. Calling someone stupid is not a good way to convince them that their opinion is wrong. Great player. Seems like a great person. Gave me some great memories. But, this team doesn’t have $7.5MM to spend on a reliever that only pitches 65 innings per year. That is partially because they are paying two players more than 1/3 of their total payroll. That doesn’t mean it was wrong (or right) to sign those players to that much money, it just means that given the other gaping holes they have, and the committments they have to other players, that they don’t have $7.5MM to spend on a closer right now. I’m glad he’s going to a very good/great team. I’d like to see him get a ring. 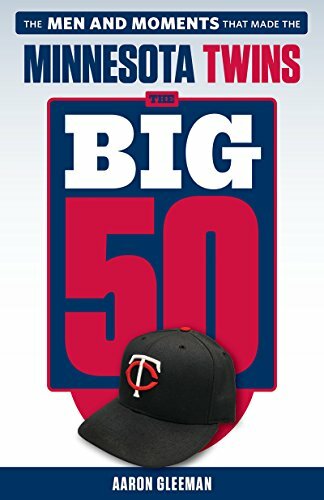 Whether you see the Twins not signing Nathan as a good/reasonable thing or not depends on (1) whether you think the team is a “small,” “mid” or “big” market club, and (2) whether you think the team is retooling or rebuilding. Personally, while the Twins have a ton of holes, they still have some established ML talent on the team, and I don’t think any other team in the Central is a cinch to be great next year. In other words, I think Twins management should be trying to contend. I also think the Twins feel that way. Why else sign 37 yo Jamey Carroll? He’s no building block for the future. Same with Doumit. These guys, though reasonably priced, still cost way more than a rebuilding team would pay, especially since they’re not clear bridges to a good young prospect who’s just a year or two away. $7+M is a lot to pay for a relief pitcher, but good teams with decent-sized budgets can afford to overpsned on a couple of positions. The Twins clearly need more good arms in the bullpen. Nathan pitched well in the 2d half, is a good clubhouse guy, won’t fall apaart because you call his name in the 9th, and is in good gneral health, his TJ surgery notwitshtanding (i.e. he’s not a fat guy crumbling as he ages). And $7.5M is NOT a lot to pay for an “established free agent closer.” We’re not talking $12M per and we’re not talking a 4-year deal. Texas is taking a very modest risk here, one that allows them to move Feliz to the rotation without upsetting the rest of the pen. The biggest problem for teh twins is that, even if they move Perkins to the 9th inning, they’ll need to find another good arm to take his high leverage innings, plus a notehr guy to fill the 7th/8th inning gaps that existed this past season. In other words, they need TWO more arms now that Nathan is gone, and they have to hope somebody fits the 9th. Eddie G did a great job of moving into the closer role from a set-up spot. Latroy Hawkins did not. 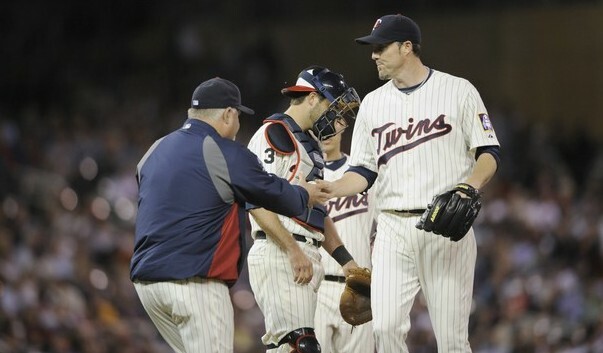 Nathan was a great acquisition – from a throw-in to the Twins record for saves. I still put Aguilera and Reardon above him as Twins closers because they won World Series. Despite Nathan’s wonderful career here, I still can’t get the blown 3-1 playoff game to the Yankees out of my mind. His career is an interesting example of why you should not pay a lot of money for a closer. His highest earning years were spent injured or recovering from injury. I would rather take that money and add bullpen depth. I live down here in Arlington, TX so we will welcome Joe and his family down here – he sounds like a real good guy. BR, what is the alternative to signing Carrol? It’s not like there are young stud SSs just sitting out there waiting to be signed. They signed him for little money, to play a position where they have no other clear option. I’m not sure what else people expected them to do to fix SS temporarily. In not signing Nathan, they can sign 3-4 other RPs, and see which ones stick. For a team missing 2 starting pitchers, possibly a 3B, 2B, 1-2 OFers, a DH, maybe a 1B and certainly 2-3 relief pitchers, not signing one RP for $7.5MM makes sense to me. Now, if you can find a way to get rid of some of the other contracts, or reduce some constracts, then maybe you can sign Nathan for that price (assuming you think this is a team that can contend). Good points made that Texas is worth more to Nathan and Nathan is worth more to Texas. But here’s another thought: Nathan may not be appreciably better than many among the glut of FA relievers in the market, so better “value” will be available, and the Twins can “afford” to wait it out. Also, I’m among the tiny minority that thinks the current in-house options are already much better than most think. Let’s give some of these guys another chance: Oliveros, Swarzak, Bulger, Manship, Burnett, Mijares, Perkins, Hoey, Diamond, Gutierrez, Waldrop, Duensing, Guerra, Blackburn, Hendriks, Robertson, Slowey, Slama, Capps (yeah, I know), Dumatrait, and at least a half-dozen new free agents. By my reckoning, if one out of four of these guys can be competitive, we have our solution for 2012. With a few unnamed prospects knocking at the door for 2013. I just don’t see the prospects as being all that bleak. Nothing but love for Joe Nathan, but this move was a no-brainer. Well, the Twins paid $7+ million each on two relievers last season for some odd reason. Sadly, paying a player to rehad from an injury never scores points on eitehr side. What is tragic is that the Twins could’ve probably kept a Crain or a Guerrier. I am pretty shocked that the White Sox basically tabled Crain and kept him in the supporting role. If Crain was still a Twin, he would be the closer in waiting. The Twins could get Capps back at a lower price, if they were to offer him closership. Capps will grab the best one-year deal he can and work his tail off to get back into a moneied situation for 2013. But who do the Twins have in waiting. Some of us thought Slama, others Bromberg. Is Tyler Robertson or Guiterrez a choice? Any chance Neshek can join the watsebasket of arms the Twins are accumulating (and, again, why did they let Neshek go instead of 40-man outrighting him to Rochester last year). Looking at Balfour and other TJ recoveries, Neshek might be a good gamble again! But who is closing? Keep Perkins as setup. Get Hawkins or Rauch back as set-up. I just wish the Twins ahd ponied up the $15 million for 3-years of Crain, who would now be looking at as being a reasonably priced closer! Actually, the best option for closer right now isn’t Duensing or Perkins – It’s Francisco Liriano. He’d be absolutely lethal in a one-inning role, as he simply doesn’t have the wherewithal to make it as a consistent starter. Is working his tail off like battling your tail off? Capps had a one year deal this year that could have led to a monied situation, but instead he sucked something fierce. Look at Capps history. There have been a few stretches where he pitches well, but for the most part the guy is crap. I predict that the Twins will trade Span to the Nationals for Drew Storen. The word is now that the Twins will NOT offer Capps arbitration.